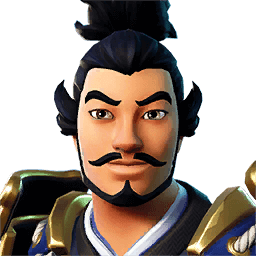 Musha is the name of one of the legendary male skin outfits for the game Fortnite Battle Royale. Outfits change the appearance of the player, but do not have any added function or benefit except for aesthetical. Musha is the male version of the Hime outfit. Musha is a male avatar that features a fully-geared Japanese samurai back in the feudal period of Japan. The word Musha literally means “warrior” in Japanese. The outfit features a fearless male warrior wearing a blue Japanese samurai armor set with gold outlines and details. The avatar also wears a black Oni mask to scare away opponents. 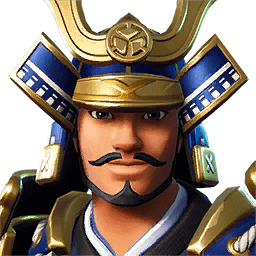 Musha high-quality PNG images with transparent background to use them as you wish (YouTube thumbnails, skin concept and so on). 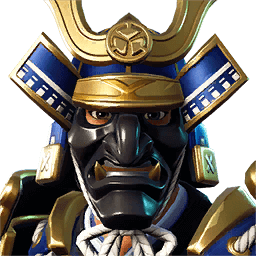 Musha rotation history in the Fortnite Shop. Below you can see the first and last time when Musha could be bought from Item Shop, also how many days it was seen and the dates list. This cosmetic item can be re-added in the future, so check the store regularly. I’m quite fond of this skin.